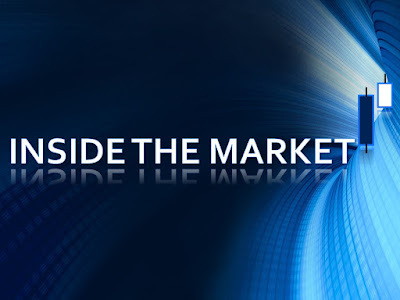 Inside The Market: January effect. The January effect is a calendar anomaly that occurs during the month of January. It provides a general increase in the average returns of the stocks during the first middle of the month. A fortiori, it is true for the small caps more than mid and large caps. It refers to a statistical behavior and in this way, the exceptions may exist. Anyway, the effect is consistent over the years and for the majority, it is relevant. If we had an efficient market, it should not exist. Until proven otherwise, the market is not efficient (at least, not totally) and we have market phases where it exists and market phases where it disappears. There are multiple reasons for that ; the main explanations are the following : it is a psychological matter because January is the first month to begin a good investment program or it is the result of the tax-loss selling , with regard to the end of the previous year. http://www.investopedia.com/terms/j/januaryeffect.asp ; http://www.investorhome.com/anomcal.htm ; https://tradingsim.com/blog/january-effect/ . Currently, it would seem to prove the rule. 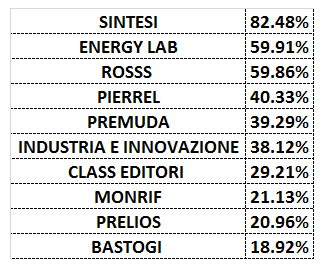 For the first days of January, FTSE ITALIA small cap index have performed better than mid and large cap. The following table shows some best performances (5 days), among the small caps stocks. The effect seems to occur this year.